A taxi driver had to be cut out of his car and taken to hospital after a collision. The Rover and a Ford Mondeo crashed at around 8pm on Sunday on Leigh Road, in Leigh. 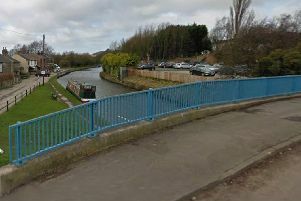 The driver, who was in his late 50s, complained of back, neck and leg pain and the emergency services were called to help. Phil Dearden, crew manager at Atherton fire station, said: "We had to take the doors and roof off and help the ambulance crew get him out on a longboard. "He went to hospital for precautionary checks."